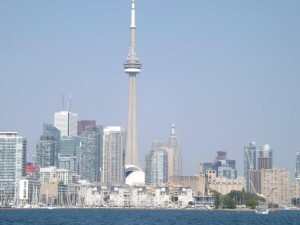 If you take a look at Toronto’s skyline today, it is hard to imagine what it was like back in the 1920s when there wasn’t a skyline along Lake Ontario. Toronto was a port city and became the chief aviation centre for Canada during the first World War. Its mining boom fueled Bay Street, renowned as being the centre of the city’s financial district. An influx of immigrants were starting to settle here, mainly from the British Empire. Far from being the multicultural and diverse metropolis it is today, there was a lot of hostility towards immigrants. The most famous example of this was the Chinese Immigration Act, better known as the Chinese Exclusion Act. Chinese immigrants were denied entry into the country from 1923 until 1947. Into the 1930s, discrimination continued for other immigrants including the Jews, at the height of the Great Depression. People were still coming to the town known as Muddy York and it’s population doubled to over a half million in the 1920s from its previous decade. Another law passed in Ontario was the Ontario Temperance Act in 1916. The law prohibited the sale of alcohol in the province but smugglers were still importing alcohol illegally. Prohibition also increased drug use in Ontario, notably morphine. The Act was discharged in 1927.
Notable landmarks were built in Toronto in the 1920s. Though the area down by Lakeshore west is home to Sunnyside Pavillion and entertainment venue Palais Royale, in the 1920s Sunnyside Beach was the site for the Sunnyside Amusement Park, which opened on June 28,1922. Our main train station, Union Station, which transports passengers within Canada, opened on August 6, 1927. The TTC –the Toronto Transit Commission–opened in 1921 and was created as a result of a referendum. Its first streetcar was erected onto city streets the same year. Toronto was far from the thriving metropolis it is today but it in the 20s, it was on its way.